Chennai : The DMK has announced that it will be contesting on 20 seats in Tamil Nadu in the upcoming Lok Sabha elections. M K Stalin-led party seat-sharing agreement has been finalised with all of its allies - a total eight of them. DMK president M K Stalin informed that the party has concluded the seat-sharing agreement with all of its allies and the constituency allotment process will start from Thursday. 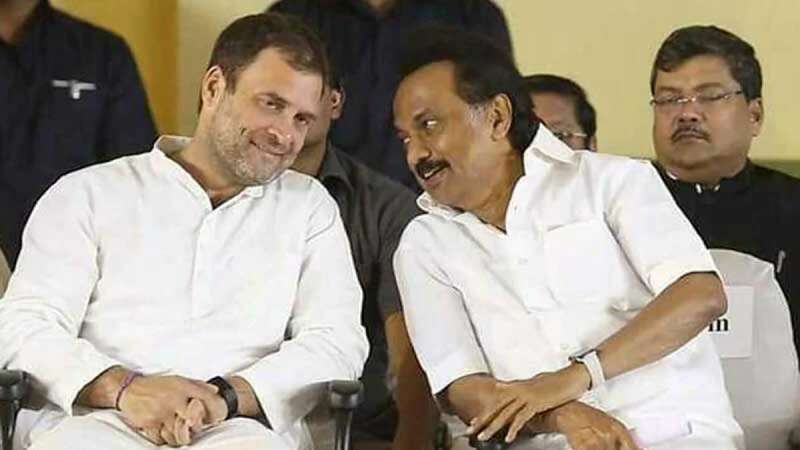 After allocating seats to its allies, including the Congress, the "DMK will now contest from 20 seats" in the state, Stalin said after firming up an electoral pact with the last of his ally, Vaiko-led MDMK, on Tuesday. The DMK will lead a rainbow coalition comprising of the Congress, CPI(M), CPI, MDMK, VCK, IUML, KMDK and IJK. Interestingly, the Congress will be contesting on the nine seats in the state. The two Left parties, besides the VCK, have been given two seats each. The DMK has allotted one seat each to the MDMK, IJK, IUML and the KMDK. It has also allotted the MDMK one Rajya Sabha seat, the election for which is scheduled for June.